Few footballers have had as much consistent success and worldwide admiration as Andres Iniesta. The evergreen midfielder has won two UEFA European Championships and a FIFA World Cup but arguably his greatest achievement was to become one of only 19 players to have won the UEFA Champions League four times. 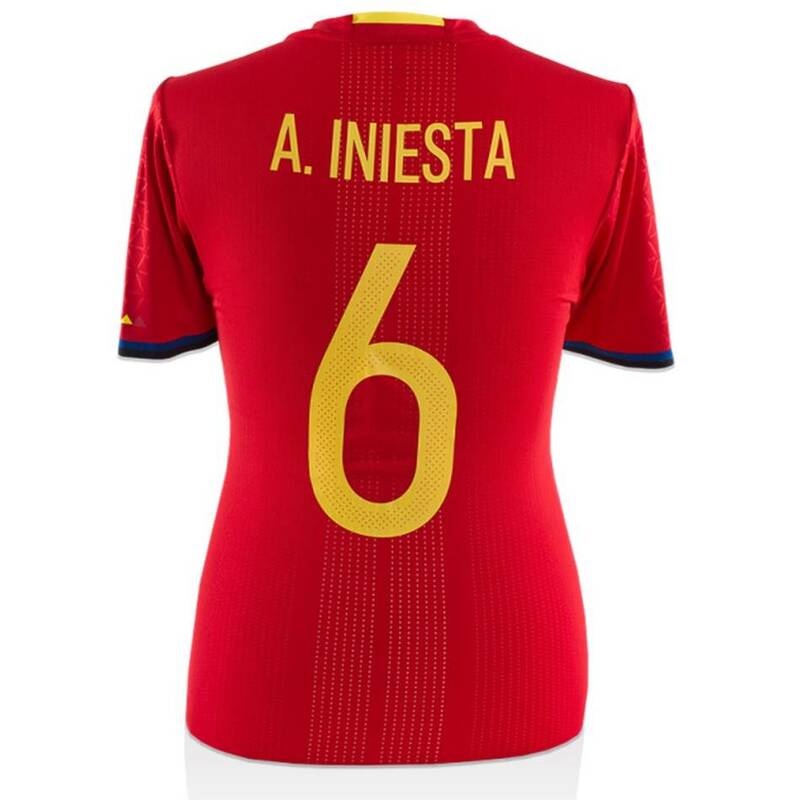 Triumphs in 2006, 2009, 2011 and 2015 have earned Iniesta the right to be labelled one of the most decorated players in the history of European football. Akin to fellow FC Barcelona youth products Pep Guardiola, Xavi and Iván de la Peña, Iniesta is a visionary playmaker who relies on his exceptional creativity, intuition and accuracy to control the midfield and dictate the ebb and flow of play. 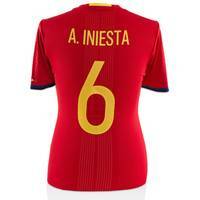 For both Barcelona and Spain, Iniesta is a maestro among a medley of modern masters. 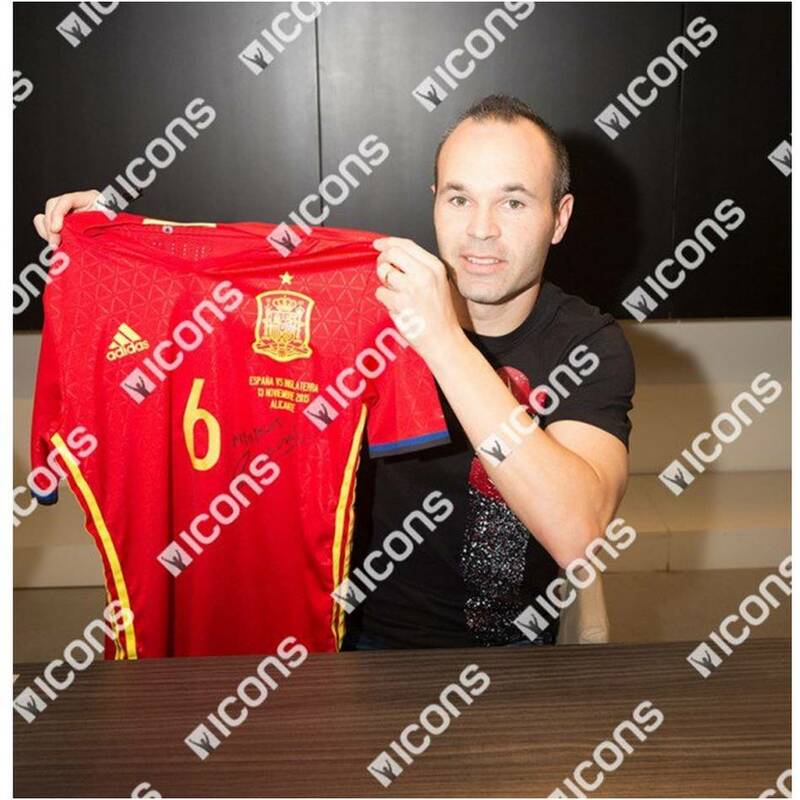 Official Memorabilia are proud to offer this extremely unique opportunity to own a match-worn jersey from Andres Iniesta.